Deliver the perfect wedding for a discriminating couple who wants the best. "I love Dream Day Wedding: Viva Las Vegas and wish there were many more like it. I love all the games in the Dream Day series and the evolution of its graphics." As the hottest new wedding planner in the country, your reputation is taking you from the Big Apple to Sin City. Surrounded by a luxury Las Vegas resort, it's up to you to deliver the perfect Dream Day Wedding for a discriminating couple who wants nothing but the best. The stakes are high as you manage important tasks while keeping the bride, groom and mother of the bride happy in this opulent destination. Get ready to hit the jackpot with Dream Day Wedding: Viva Las Vegas. 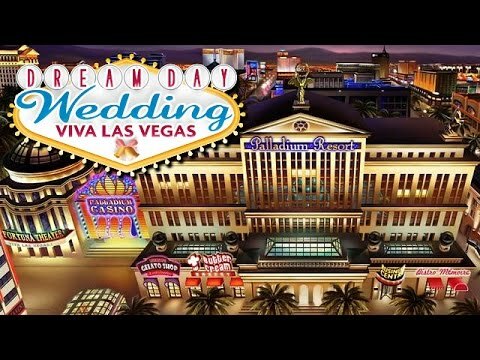 Dream Day Wedding: Viva Las Vegas is one of the best games. It's very interactive with great graphics, and not too difficult. I haven't gotten stuck or unable to move forward. Really like this one. I have played a lot of the Dream Day games and this one is very good. Lots of new graphics and mini games. This was a very enjoyable game. The graphics and the flow were very good. I would recommend.